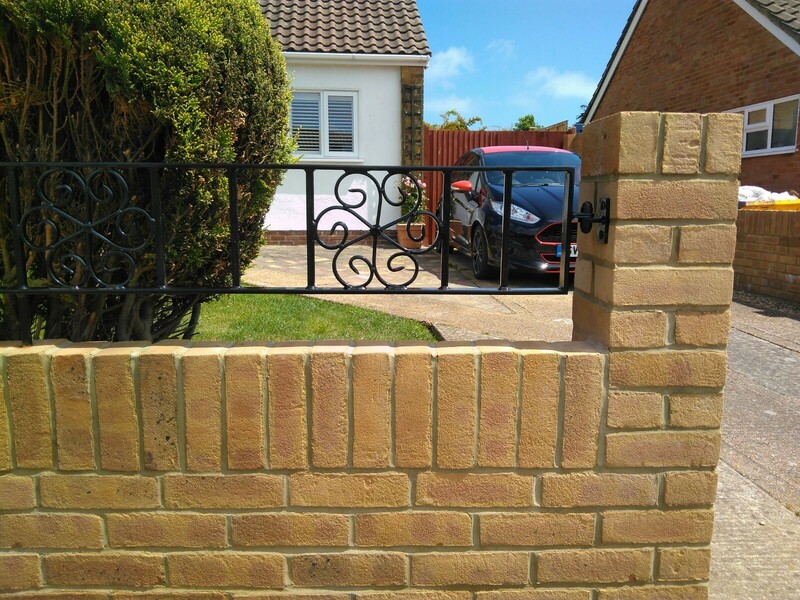 Rodd Brickwork has a wealth of experience with a variety of construction projects and can undertake work ranging from small garden walls through to fully managed multi-trade extensions & new builds. We are also flintwork specialists and have many examples of our work available to be seen around West Sussex. We also offer a wide range of professionally managed services to our clients for other projects, which may include planning & design, other construction trades and a full project management service. 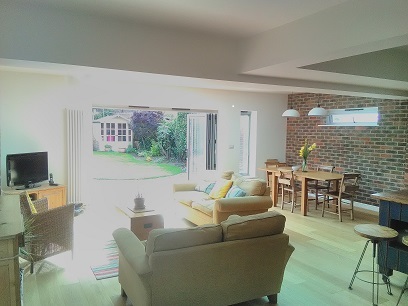 We used Rodd Brickwork to build a kitchen/dining room extension to our home. Stuart was helpful right from the start, advising us and taking the time to understand exactly what we wanted to achieve from the build. We viewed several projects already undertaken by Rodd Brickwork and were impressed by the overall finish. Stuart kept us well informed as to how things were progressing and project managed the entire build brilliantly. The whole team were polite and friendly, and took great pains to leave the site neat and tidy at the end of each day. Great service, Stuart always kept us informed of the days the guys would be with us and any weather delays. He responded positively to any changes in the spec suggested by me. Reliable, trustworthy team. A prompt morning start and hard working through the day. Stuart is an excellent project manager, keeping works on track and the client informed. All of the contractors used were of a high standard. We have now used Stuart and his team for the refurbishment of our bungalow including removing old concrete pathway, demolishing and rebuilding porch, re roof, replace windows and front door and internal plastering and external rendering and have been very happy with all the work done. Stuart had been had kept us informed all along the way and always turned up when scheduled. The couple of little problems that we did have, were sorted very quickly even over weekends and bank holidays. 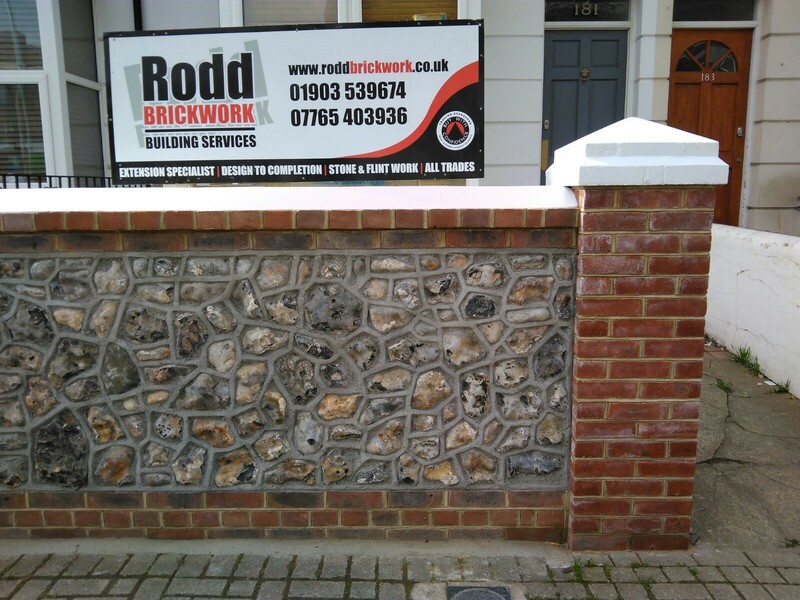 We wouldn't hesitate to recommend Rodd Brickwork. Estimated, advised and communicated really well then came back and done a first class job. Clean and tidy too which is always nice! 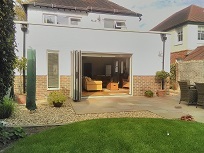 We decided to choose Rodd Brickwork to build our amazing new extension as we had seen the quality of their work first hand and had been highly recommended by a friend. Stuart Rodd was an invaluable project manager, providing an excellent service from first contact right through to completion of the build. The Rodd Brickwork team and extended team of local tradesmen, were all highly skilled, polite,conscientious and hardworking. At the end of everyday the site was always left in a clean and tidy condition. 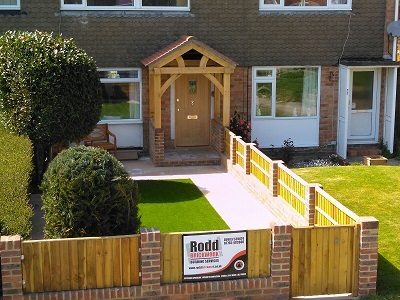 Rodd Brickwork were very pleasant, reliable people. Job done to a great standard. And we are really happy with the finished product. The workmen were all very courteous and everything was done by agreement and with notice of what was advised. Our dealings with the employees of this company was excellent. They were courteous, tidy and good humoured all through the build. We have just had our front garden wall rebuilt by Stuart from rodd brickwork and we could not be more pleased with it, all the the work carried out from the first visit through to the finish was exceptional. Its always a worry choosing a building firm for the work you need completing. Its not just the quality of work but also the fact we have a 2 young children, so behaviours and safety come into the equation. I have to say that in Rodd Brickwork they ticked all the boxes... and some. they were always polite and respectful around us and the children, they left the site so clean and tidy after each day which took the worry of the children hurting themselves out. in terms of the work, Stuart dealt with the job from start to finish, adding valuable input when designing the work we wanted, not leading but more like guiding us from his experience, and I have to say he was correct in everything he suggested and the completed work is incredible! Stuart and Rodd Brickwork really have exceeded, from what could have been a costly headache turned into a fast flowing, trouble free exercise and we couldn't be happier with the outcome. Stuart and his colleagues were helpful from beginning to completion. Stuart was able to help us interpret the architect's plans and include alterations that helped us make sure that the space worked best for us. 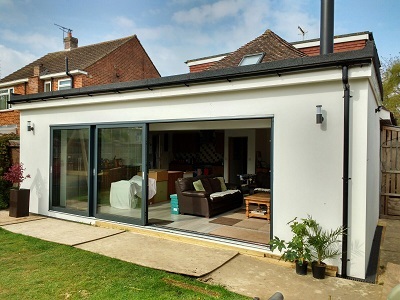 Stuart was able to recommend local suppliers, such as for our bifold doors, with whose service and goods we have also been very happy with. Stuart and his Team were polite, approachable and helpful throughout and ensured that we were were provided with information and options to ensure that we were able to make informed decisions when consulted with by them. From the start when I received the quote to re-point my gable wall and parent coping last year and repair the lintel over the window, Stuart was very attentive and we agreed to carry out the work when the weather improved. He kept me informed and when they arrived it all happened quickly. Scaffold up on Friday and guys started work on Monday, kept neighbours informed of the dusty nature and cleaned my garden and neighbours as well, which avoided any problems. Work was completed on budget, in good time and completely to my satisfaction, including extra work to install a new fence post damaged by the gales earlier. Stuart and his team were reliable and professional throughout. 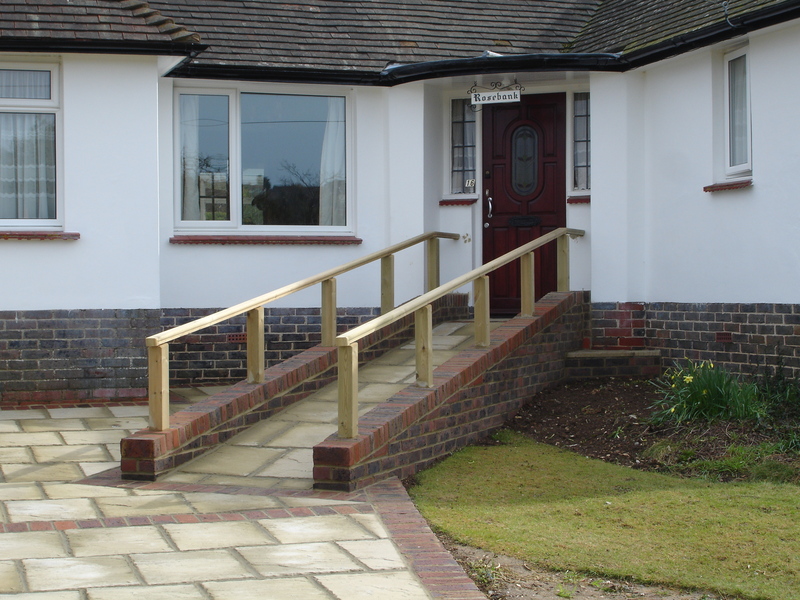 The level of service we received from Rodd Brickwork was second to none. Professional, attentive, friendly and clean & tidy! This was first time we had undertaken major building works and were quite nervous about the process. Rodd Brickwork guided us every step of the way - from putting us in touch with an architect, the planning process right through to the completion of the job. The team on the job were very reliable and friendly and we were kept informed of progress at every stage of the build. During the main part of the build we would often get a call in the evening to update us of the days work and next steps - for us this was very reassuring. Very knowledgeable, efficient and helpful. They were happy to discuss at length what needed to be done and listened our requirements. Work undertaken was of a good standard. 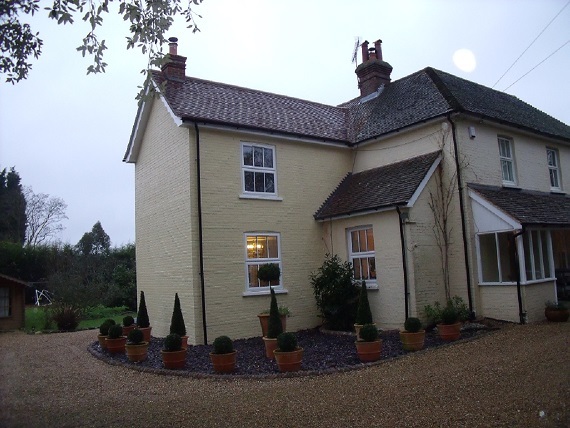 Re-pointing work on our house was carried out to an excellent standard, particularly as it involved the use of dark coloured mortar, not easy to do neatly. First class, professional, reliable (and) they make sure that they tidy up properly each day! Built us a two room extension and patio. Excellent work carried out. Always very polite and considerate, even built our elderly dogs a step to get in and out when required!